Display your listing entries on their own domains using SEO masking. Keep your site SEO while impressing your sellers! 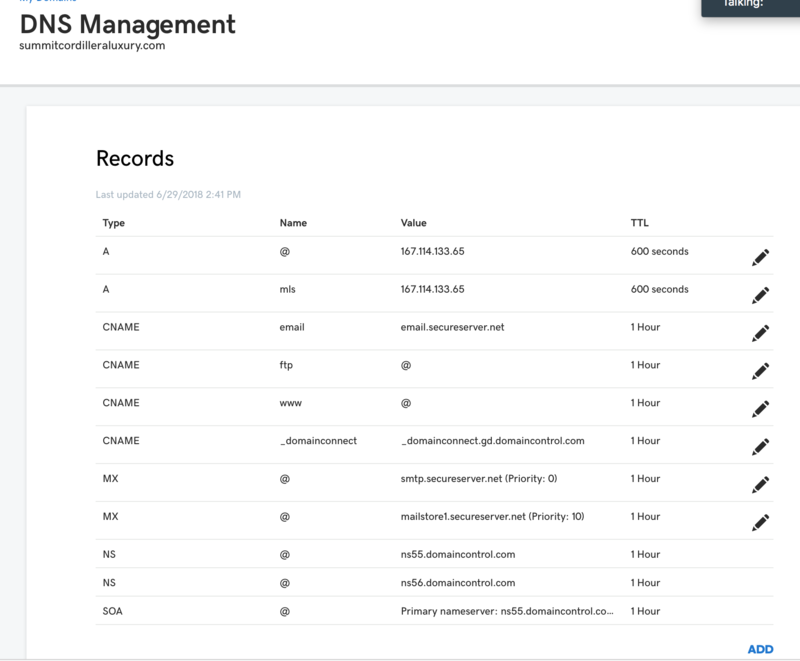 In order to display your listings on their own domains, you'll need a registar where you'll keep your DNS zone files & domain purchase agreements. Godaddy has provided some simple tutorials on how to add an A record to your domain. 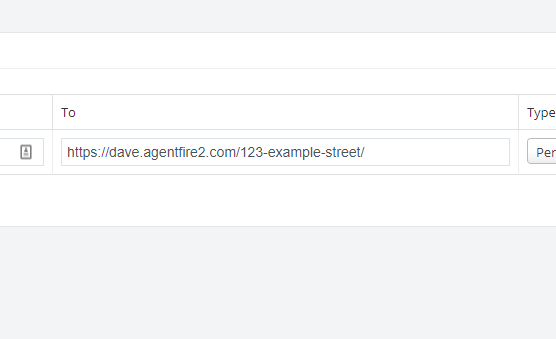 Our domain manager in your AgentFire website allows you to convert any Listing V2 or V3 entry into a fully SEO masked individual domain, while allowing it to exist directly on a URL within your site, at the same time! To get started, purchase a new domain name from your current registrar. Locate the DNS Zone File, and add a new A record, pointing to our IP Address. 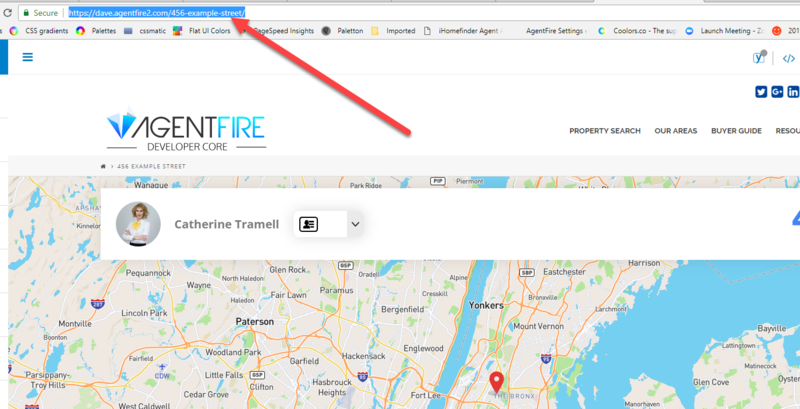 Once you have your domain name pointing correctly, it's time to make a simple set of adjustments in your AgentFire admin area to ensure your preferred listing is displayed on the domain you just purchased. Login to your AgentFire site. 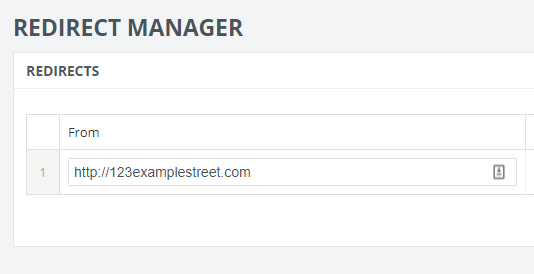 We'll be heading to the redirect manager in order to point your domain to the listing entry you want to use. Before we do that though, you'll need to confirm and have handy the listing URL you need to mask. AF Arsenal > Listings > All Listings. With your listing entries displayed, select the Open in new tab button link located next to your listing title. Open your listing in a new tab. Copy the URL of the listing or leave this tab open and available for copying from. You will need both the listing URL and the new domain name in order to complete your new single listing domain. 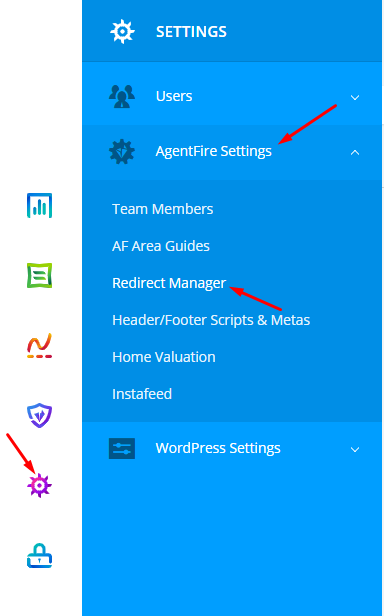 Now that the purchased domain is pointing to AgentFire services, and the listing URL has been confirmed, it's time to add an SEO mask in the redirect manager in order to complete the setup. If this is your first visit to the redirect manager, you will likely not have any other redirects in this location. Select Add Row to enter your first redirect. Your originating domain will need to be entered. It should be an http domain. Be sure there isn't a backslash at the end of the domain name. Lowercase letters only! Notes: (this is not an SSL enabled tutorial, instructions differ if you are looking to also provide SSL support for the listing entry on the single domain.). Paste your listing URL directly from the tab you copied from. This will be an HTTPS url, and it will be canonical, so it will display a / at the end. 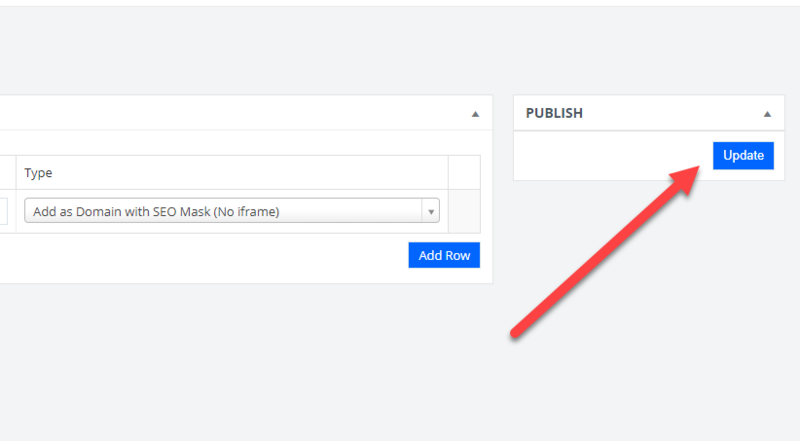 With your From and To fields verified and correct, click the publish/update button to save your changes. That's it! View your listing on it's new domain name! 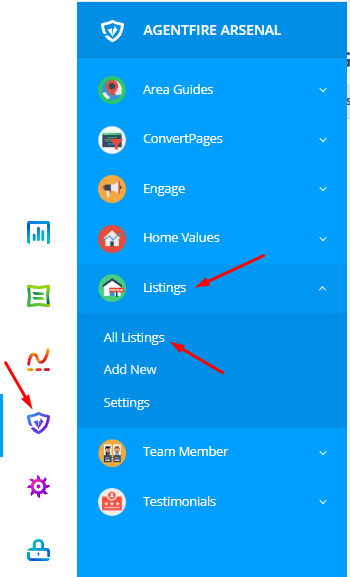 Learn how to navigate the AF editor, build your listing content, enable awesome features and more in our additional articles on the Listings V3 plugin.